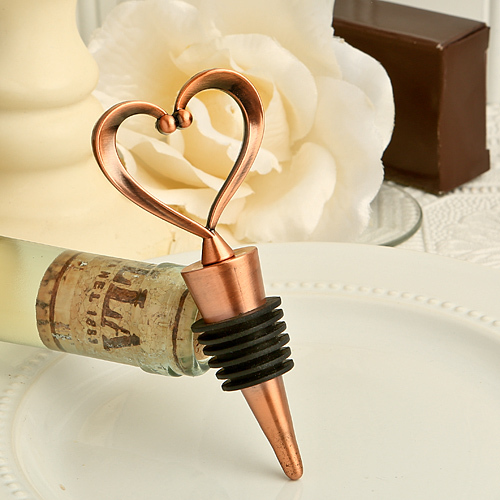 It's one love, one heart with these stylish heart design wine bottle stoppers. When you choose a useful kitchen favor like a wine bottle stopper, you’re giving your guests a lasting and sure-to-be-used memento of your day. And, when you add an elegant, heart themed design, like this this vintage, yet timeless, favor, you’ve got an eye-catching keepsake that will lovingly steal your family and friends’ hearts!